Today, I want to teach you how to lead your MLM Team the right way. There is definitely a right way and wrong way to do it. In my opinion, the only way to succeed at network marketing is to be a good leader AND to find and develop other leaders. That’s our business in a nutshell. You have to remember that your are not your downline’s boss or manager. They already have a boss at their day job. No one joined network marketing because they wanted another job or another boss! Did you? If my upline tried bossing me around, I would tell them to pound sand. I’m sure you feel the exact same way. There is a big difference between managing and leading people. Most people know how to manage others, but few folks know how to lead others. Leadership is an art form. It’s something that is learned over a period of YEARS. If I had to manage everyone on my team, I would quit the industry for good. It would just be too much of a headache and way too much work. It’s easy to manage one or two people, but could you imagine MANAGING a team of 10,000 people? I’d rather go to prison than do that (not federal prison, LOL). You see, we are all independent business owners. We are all responsible for our own business, and no one else. It’s not your job to manage anyone on your team. It’s only your job to set a good example and work with the willing. It’s not your job to coddle, hand hold, babysit or motivate others. You cannot control what someone else does with the business, nor should you try to. That’s their responsibility. Managing is when you act like someone’s boss. You ask them what they have done to grow the business this week. You ask them how many calls they have made, how many people they have sponsored, and how much product they have sold. You try to motivate them to do more. You evaluate their performance. You spend more time on them than you do with your own business. That sounds like a big headache, doesn’t it? On the other hand, leadership is when you INSPIRE others by what you do. Rather than cracking the whip, you lead by example. You act like the team captain and do what you want others to do. Leadership is where the big money is at in network marketing. Managing others might make you a few hundred bucks per month, but leadership will make you six figures and beyond. Study any group of top earners and you will discover that they are exceptional leaders, not managers. So what is a leader and what is the best way to lead your MLM Team? For the rest of this article, I want to answer those two questions and share my best insights. Let’s get started. First off, a network marketing leader sets the pace for their team and they never ask their team to do something they aren’t doing themselves. They are the ultimate role model. 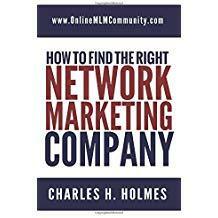 A network marketing leader is always in the trenches setting appointments, showing presentations, sponsoring people and getting customers. Rather than sitting back waiting for their team to perform, they step it up and get the job done. A network marketing leader is working on their personal development and striving to get better every single day. When it comes to leading your MLM Team effectively, here are some things you can do to really stand out and be an effective leader. # 1 Stay in the Trenches – Never leave the trenches, EVER. Your team will always watch what you do and they will do what you do (but not as much). You want to always keep retailing and recruiting. Don’t ever go into management mode. Always lead from the front. # 2 Stay in Contact – A good leader stays in contact with their team of distributors and customers on a regular basis. They make calls to their key leaders every week. They send emails to their team. They share information with their team. They never go more than a week without being in contact with their team. # 3 Be Accessible – The true sign of a good network marketing leader is that they are accessible. They return emails and phone calls promptly and help their team when asked. You know someone is a good leader when you can get in touch with them. # 4 Have a System for Your Team – A good leader has a simple system for their team to follow. It doesn’t have to be complicated or fancy, but it has to work. They must teach this system to their team and constantly look for ways to improve what the system. # 5 Work on Personal Development – Good leaders strive to get better every single day. They constantly read, listen to tapes, find mentors, attend events and do whatever they can to improve daily. Follow these five steps and you will be headed in the right direction with your business. Ignore those five steps and you will stay frustrated and fail. In conclusion, these are my best tips on leading your MLM Team the right way. If you get nothing else from this article, just remember the difference between being a leader and being a manager. Remember it’s not your job to manage people. The only person you manage is yourself. Your real job is to set a strong personal example for others to follow and work with the willing. Do your best to be a leader from day one in your network marketing business, even before you have a large team. What are your thoughts? What are your best tips on leading your MLM Team the right way? Leave a comment below to let me know what you think. I look forward to hearing from you. This article really hit home for me. I call it the “trickle down” theory. Your people will do what you do. If you are willing, as you say, to get into the trenches, most of your people will too. If you conduct your business in a professional and ethical way, so will your people. They are watching you closely. Staying in contact is crucial to the success of your team ~ especially to those that are new to MLM. This new way of working could feel very foreign to them. They will need some hand holding at first or you will lose them completely. They will need encouragement. I really liked your approach of keeping it simple and teaching your team to keep it simple. Some business plans can get really complicated. The one I was most successful in was one of which I only understood the first tier. It wasn’t until six months in to working the business that I realized the whole plan. I am working my way through every page and every article. I love your website! It is so easy to navigate! Keeping it simple! Glad I could help Georgia. Keeping it simple and keeping in touch with everyone on a regular basis is very important. I agree with you. I am in full agreement with every tip you posted here Chuck. I want to add that a good leader always has time to listen too. We were given two ears and one mouth for a reason. Some people think leading is being the one who is always talking. Sometimes listening can be the best leadership we can provide. Usually people will talk their way into the answer to a problem, they just needed someone to listen. Yes, good leaders are definitely good listeners. And a good student is smart enough to shut up and listen to their mentor.